I’ve never been a fan of celebrating New Years, but I do love the excitement of a new year and wondering about what it will bring. 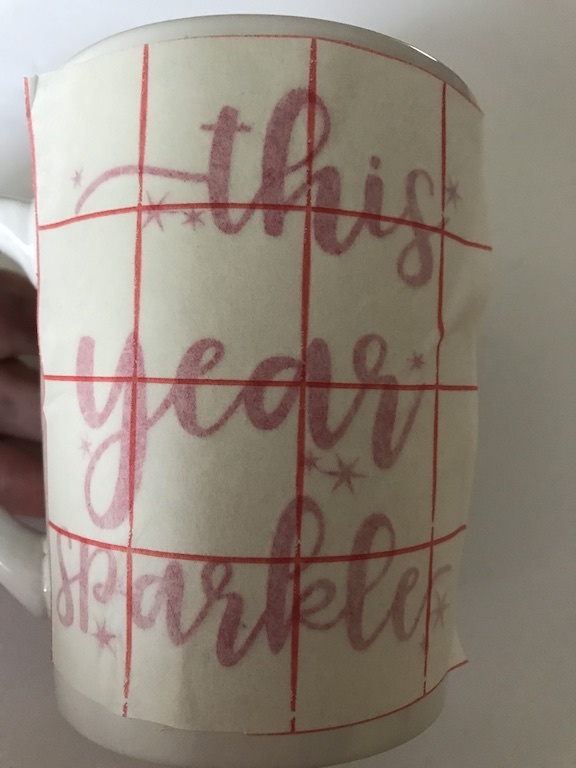 For 2019 it’s my year to sparkle so I made myself this mug to remind myself whenever I have coffee that this is my year. Motivational messages are so powerful and we should surround ourselves with positivity whenever we can. 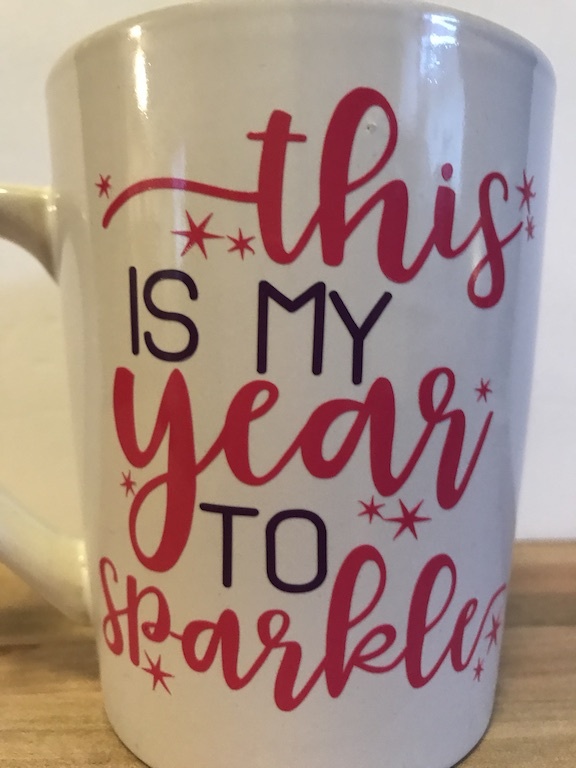 Would you like an inspirational coffee mug for the new year? On the first Wednesday of each month, a group of DIY and crafty bloggers join forces. 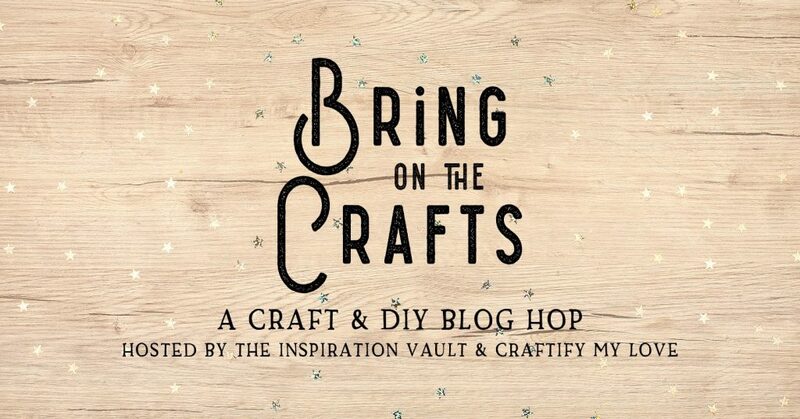 Together with their hosts Marie & Aleisha from The Inspiration Vault and Habiba from Craftify My Love they bring you the #BringontheCrafts blog hop. Each blogger creates a fun craft or DIY project to share that goes with a monthly theme. December’s theme is New Year’s Eve. Each blogger chooses their own craft or project to make as long as they love it and it’s New Year’s Eve themed. 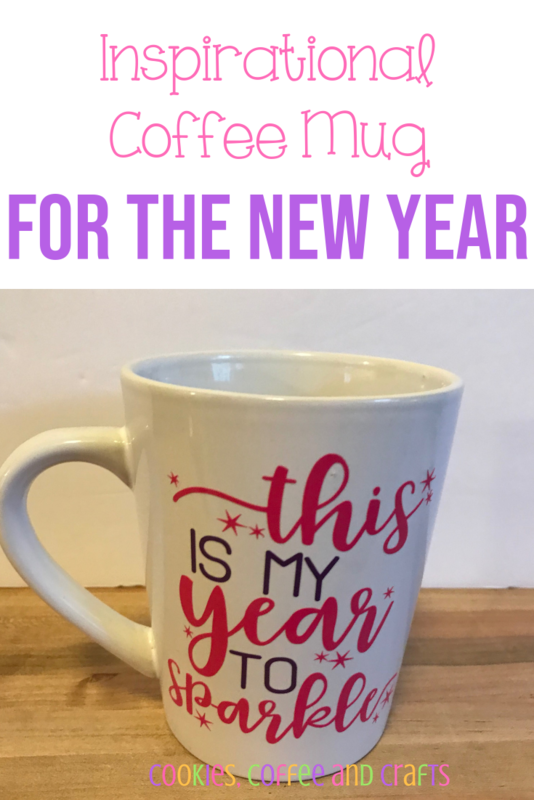 This mug is super easy to make! Creating my own coffee mugs is one of my favorite things to create. That’s one of the best things about owning a cutting machine. First find an inspirational SVG, mine is from Scarlett Rose Designs. For the coffee mug, check out your local Dollar Tree. Size it to fit your mug and cut the design on your cutting machine. Remove the excess vinyl and weed the design. Using transfer paper add it to your mug! First I did the large saying in pink and then I added the violet. The pink and violet vinyl are my favorite colors, but in pictures the pink looks red and the violet looks black. In reality it’s a pretty pink and purple mug, my favorite colors. Are you ready for the New Year and all that it will bring? I find the ending of one year bittersweet and sometimes it makes me a little sad, but I just remind myself of all the wonderful things that will happen in the New Year. 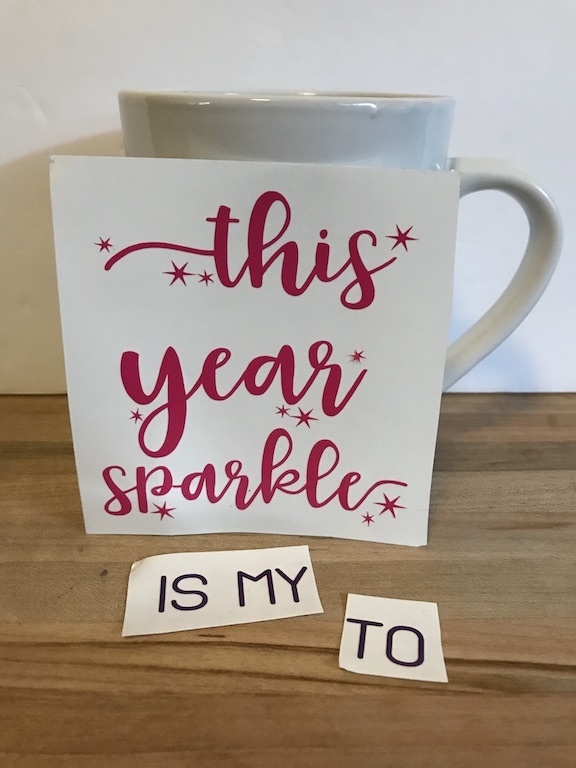 Stay inspired with your inspirational coffee mug- it’s not just for the New Year, but for anytime!